Our little elves here have been hard at work updating our website to make it as comprehensive and informative as possible. We’ve added Sample Pages and Table of Contents to the majority of our books so that you can get as much information as you need to make a decision on choosing the right product for your child or student. You can download and view these sample pages within each product page by clicking on the Table of Contents or Sample Pages Tabs and downloading the content right to your desktop. We hope you’ll find this new feature to be a helpful tool. 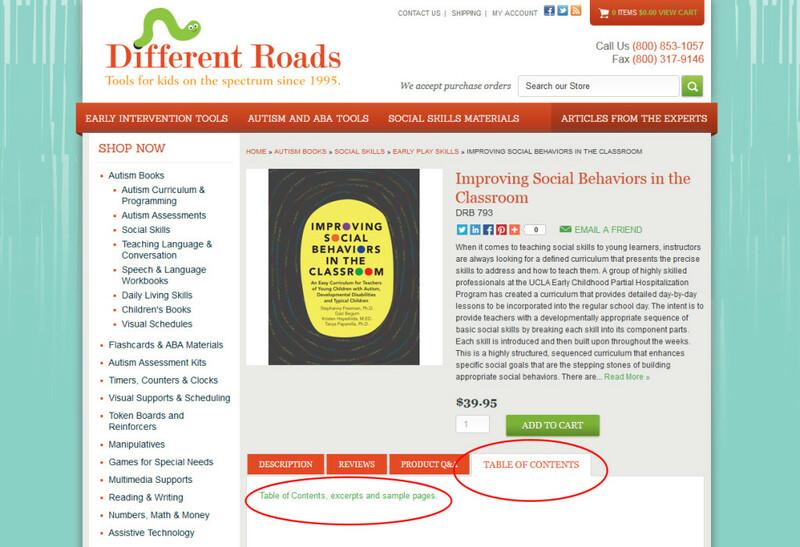 Written by: Different Roads to Learning on December 12, 2013. This entry was posted in Resources and tagged Different Roads to Learning, Resources by Different Roads to Learning. Bookmark the permalink.